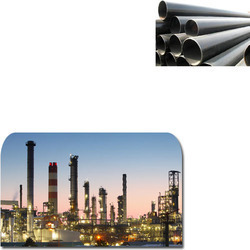 Our product range includes a wide range of carbon steel seamless pipes for chemical industry. We are providing the Carbon Steel Seamless Pipes for Chemical Industry. Inclusive of wastewater applications, these seamless pipes are widely used for a number of uses. These pipes are manufactures using the latest technology machines and the quality assured carbon steel procured from our reliable vendors. Also, these pipes come with their sturdy construction and accurate dimensions. Looking for Carbon Steel Seamless Pipes for Chemical Industry ?